Europe, we’re coming back. Tickets are on sale now for all shows except Italy (on sale tomorrow). Let’s do this. One of the most fun shows I’ve experienced!! I was originally there for Underoath but I’m now a new fan of the others!! 🤘&& as always the Midland is a great venue! It was amazing. They put on a phenomenal show. The whole band had an inviting stage presence. I don't know how they can head bang that much. I came for Dance Gavin Dance but I left in love with Underoath. Awesome show. The starting band were fantastic. 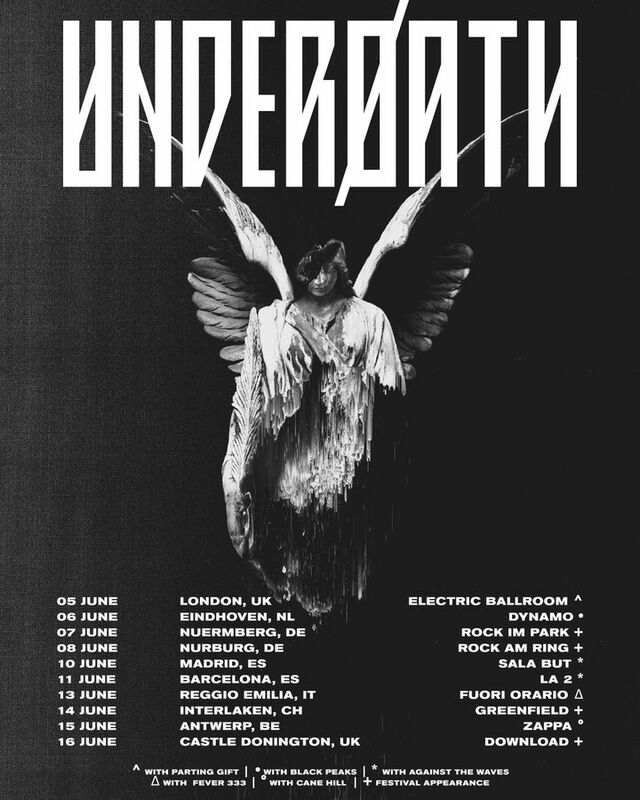 Was very happy to see underoath again, saw them at this same venue 10+ years ago. They played some old tunes and some new ones. I was impressed. Thanks to the band. Come back again! Finally got to see my favorite band Skyway and it made it obvious why I am such a huge fan. I would go see Underoath again over and over again.